What do you love most about being the owner of Jeffre Scott Apothecary? I want to bring joy to people. I get so excited to see the transformations. Even something as simple as a blowout can brighten your day. There are women in their 50s and 60s who come here and have never used more than soap and water. I love educating them on the benefits of good skin care, including moisturizing. They leave here feeling more beautiful, and that feeds my soul. Let’s talk about your latest accomplishment, winning the “Mr. Entertainer of the Year” pageant. I thought it would be fun to try. Once I decided to do it, I went all in. I sang “Hey, Big Spender” from Sweet Charity and had six backup dancers. My suit—with plumage!—for the formalwear competition had 25,000 Swarovski crystals hand-sewn onto it. That white suit was shipped from Charlotte to England three times during fittings. I love your work on stage, in everything from Theatre Charlotte’s “Rent” to CPCC’s “Cabaret.” What’s next? What are your beauty tips for the holidays? It’s all about the glow. Using a liquid highlighter under your makeup will give your skin a radiant finish. Our favorite is from Kevin Aucoin—the The Celestial Skin liquid lightning. Also, keep your skin hydrated. What are the biggest beauty trends you’re seeing now? The med-spa. Also, men are becoming more interested in taking care of their skin. Tell me about the tattoo on your arm. It says “enjoy the journey” in Elvish. Did you know I’m a total sci-fi geek? That’s one of the languages J.R.R. Tolkien (author of the Lord of the Rings trilogy) invented. Years ago, I met Elijah Wood (who played Frodo in the Lord of the Rings films) and asked for his autograph. He wrote, “Charlton: Enjoy the journey. Elijah Wood.” It’s framed in my bedroom and has become my mantra. 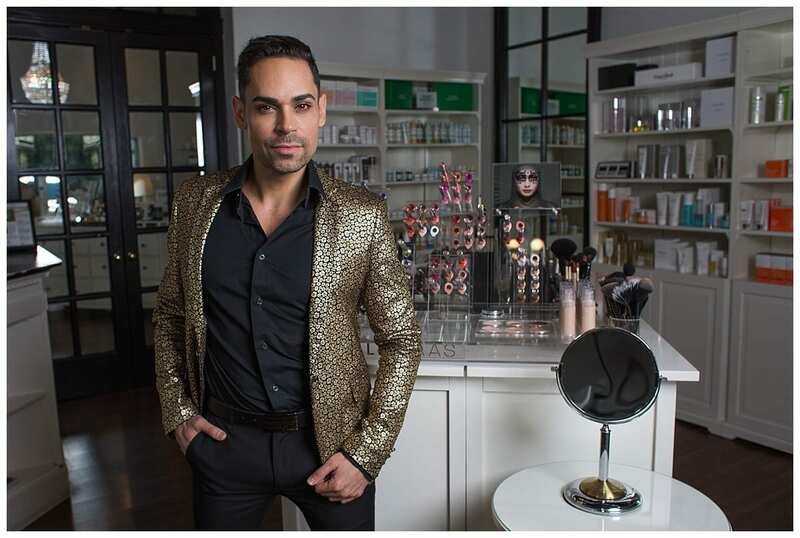 You’re a makeup artist, hairstylist, entrepreneur, ballroom dancer, actor and entertainer. Is there anything you don’t do?